In the early 1980s, Kelly and Kathy heard the call to reach the lost, but assumed that the lost were all around them in Montana. Accordingly they worked toward reaching their neighbors. Later a Canadian minister who was staying at their house, shared about the lost in other cultures. Becoming concerned about those in other countries, the Koskys began to pray for the unsaved in foreign lands, and also began to give to various missions. The next year when Kelly was ministering in the West Indies, he saw firsthand how the ‘hidden-half’ lived. As a result of this exposure to the great need in undeveloped countries, Kelly and Kathy began to pray that the Lord would somehow use them to reach the lost. In their quest to better understand missions, they took a summer off, and studied at the US Center for World Missions at William Carrie University in California. It was there that they came to a realization that there were billions of people in this world who have never had the opportunity to hear the Gospel. After much prayer, they both decided to go wherever the Lord would send them and preach the Gospel to the unreached people of this world. Several years later they moved to the Republic of Transkei to reach the unreached among the Xhosa tribe. 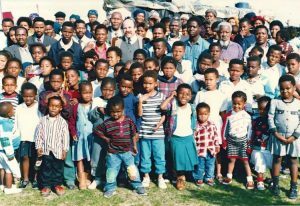 The primary focus of the mission was to reach the Xhosa villages where no churches, Bibles or Christian witnesses exists. As a result of this effort they started Transkei Victory Christian Ministries (TVCM), with the main purpose to reach the remote villages that were hopeless without Christ. 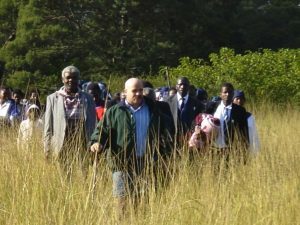 Since establishing TVCM the Lord has used the Koskys to start hundreds of churches among these tribal Xhosa villages. The size of the ministry began to grow beyond their capacity to provide oversight, so the Koskys began to give many churches to other Godly ministries and ministers. It is estimated that 80% of all the churches that were planted under TVCM have been released to operate as independent village church. But in spite of their willingness to give away many churches, the ministry (TVCM) continues to grow. TVCM is the largest ministry to the remote Xhosa villages. The Transkei is populated by tens of thousands of tribal villages. Each village falls under the governance of the tribal chief and this ruling chief assigns a local headman to lead a local village. A village is often referred to as a “location”. As there are very few roads in the Transkei most villages are only accessible by walking long distances. Women, children and the elderly populate most villages, as the men typically travel across the country to find employment in the white owned South African mines and factories. They normally leave their villages as young men, hoping to earn enough money to someday pay labola (bride price) to buy a wife. But once they attain a highly sought after job, they are very reluctant to leave the industrial center, and accordingly only return to their homelands to marry their wife(s) and visit their families. Typically the women plow, plant, and harvest the crops. They also build the mud/dung huts, and the grandmothers raise the children. Village life is one of survival, as the water is usually carried for miles back to the villages. The villages are vulnerable to harsh weather and wildfires, as well as bands of warriors. Electricity and medical care are not normally available. The government is assisting with the basic needs of the villages, but at a very slow pace. The government is also working to build schools, but even when schools are built; it is very difficult to find educated teachers who are willing to live in these remote conditions. Eighty-five percent of the Xhosa villages do not have a Christian witness in their location. In the few villages that do have a village church, there may not be Bibles available. Where there are churches, it is unlikely that the church would have a resident pastor. It is for this reason that the main focus of the mission is to reach the villages that are unreached, unpreached, and unteached.